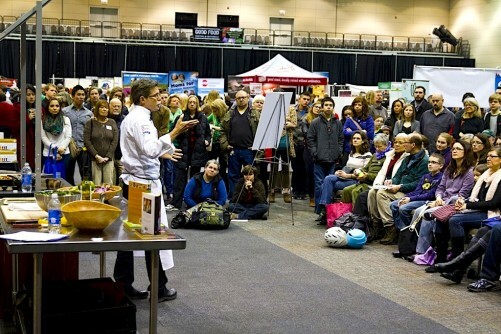 This post completes our photo roundup of the three-day, 12th annual Good Food Festival & Conference (though there will be stories that follow on some of the key events). 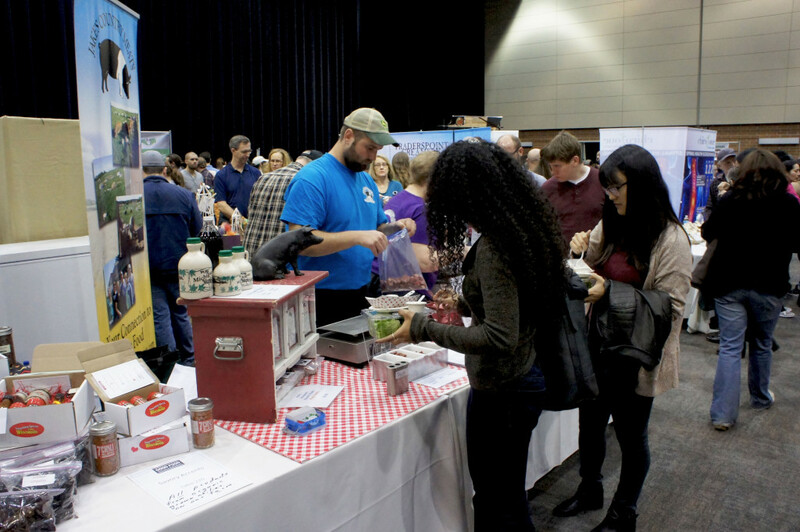 To view other photos from the Festival, the Good Food Financing & Innovation Conference on March 24 and the Good Food Trade Show & Industry Conference on March 25, please visit the Good Food on Every Table home page or click on the links below these photos. FamilyFarmed could not stage a successful three-day event without the hard work of our volunteers. 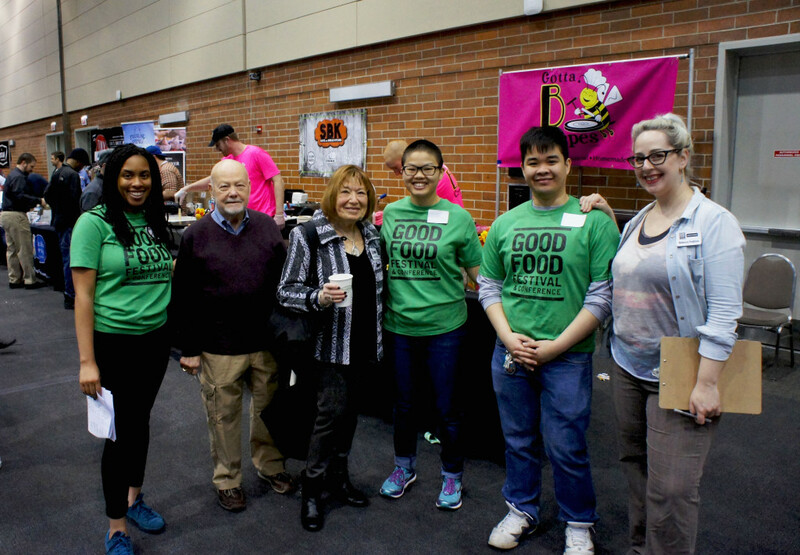 Here three volunteers (in green shirts) posed for a photo at the Good Food Festival on March 26 with FamilyFarmed Board Chairman Charlotte Flinn (third from left); Bob Flinn, her husband (second left); and Rebecca Frabizio (right) of the FamilyFarmed staff. 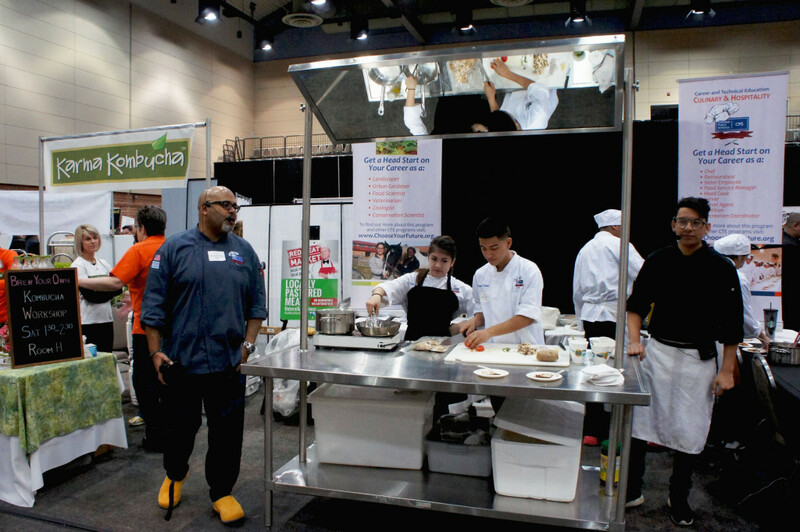 Students in the Chicago Public Schools’ Culinary & Hospitality program conducted cooking demos and sampling at the Good Food Festival. 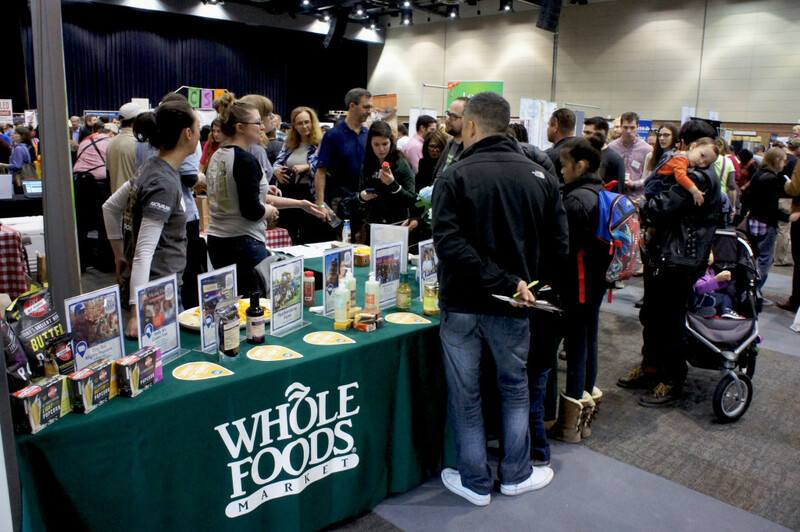 Whole Foods Market, the nation’s largest natural and organic foods retail chain, has been a FamilyFarmed partner in the Good Food Festival since its origins in 2004 and was a principal sponsor of the 2016 event. 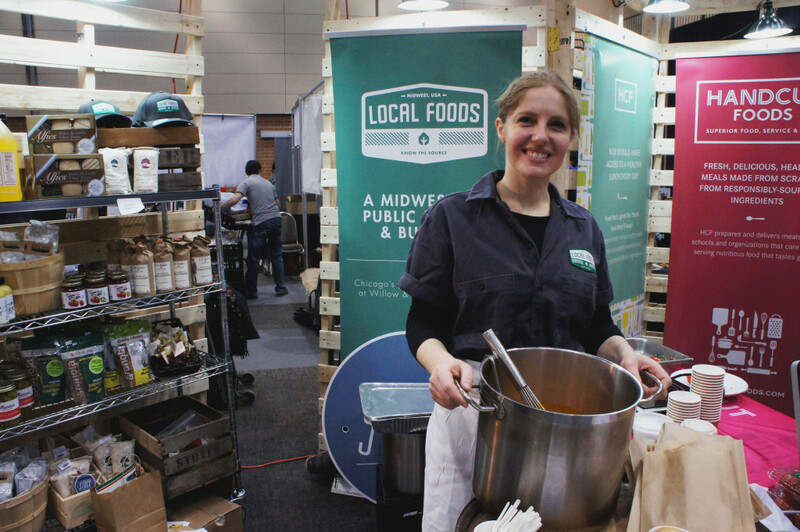 Abra Berens, a rising star chef on the Chicago scene, prepared a delicious tomato soup at the Local Foods exhibit at the Good Food Festival. 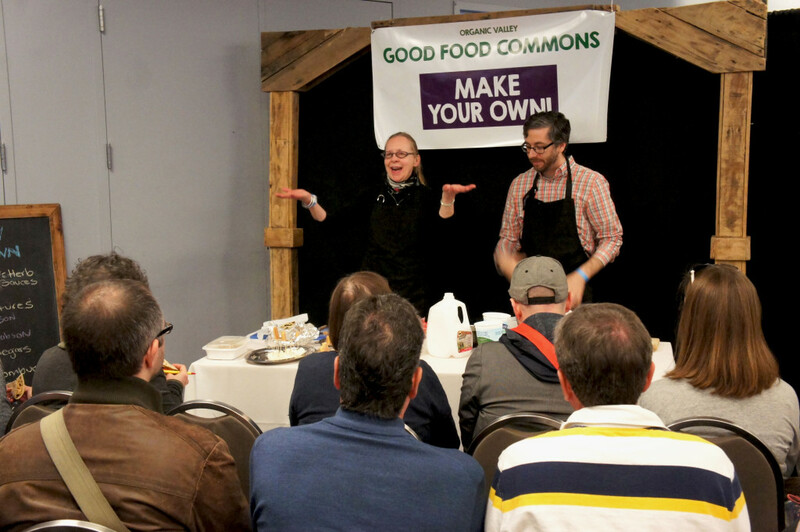 Berens, the executive chef for Stock Cafe at the Local Foods store in Chicago, appeared on a panel about Good Food chef activism, moderated by the James Beard Foundation, at the March 25 Good Food Trade Show & Industry Conference. 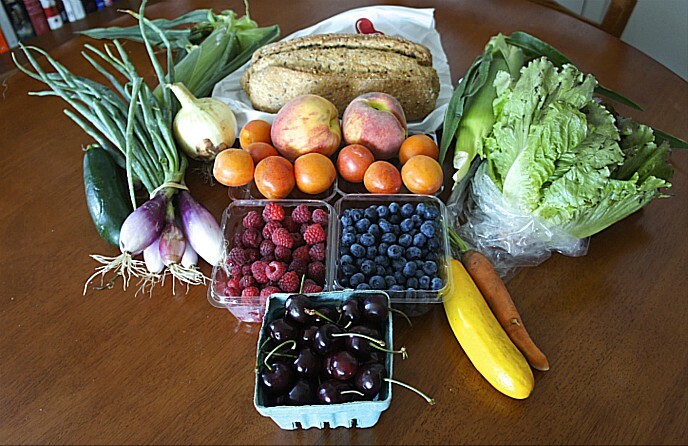 The number of Community Supported Agriculture (CSA) farms — which provide regular food deliveries to subscribers — has soared in recent years. 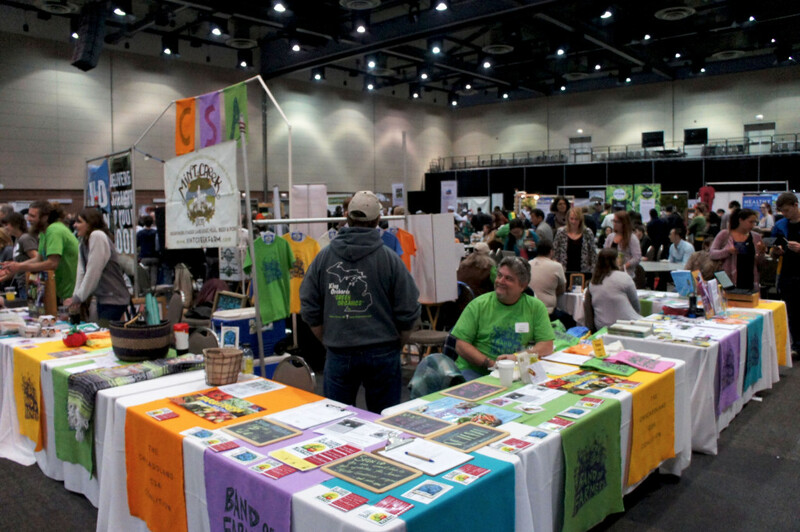 The CSA Pavilion at the Good Food Festival is organized by Band of Farmers: The Chicagoland CSA Coalition. 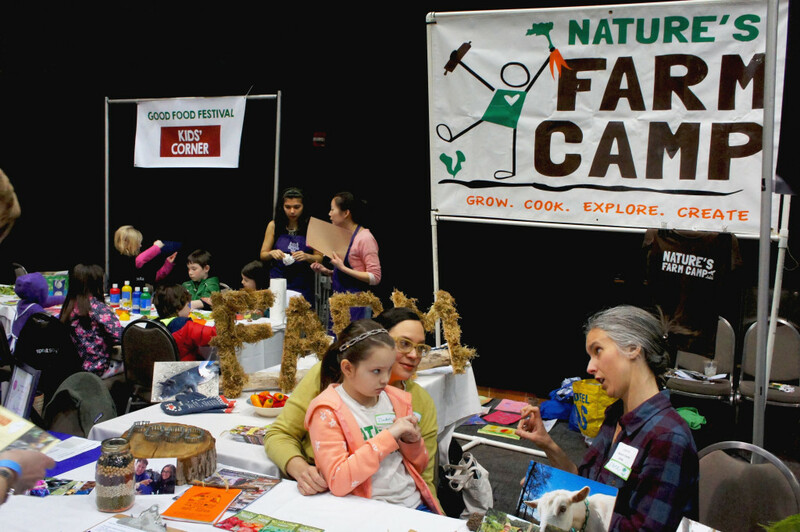 The Good Food Festival is family-friendly with activities that include Nature’s Farm Camp, an overnight summer camp in the Chicago region that reconnects children with food and nature, and the Purple Asparagus Kids’ Corner, whose sponsor is a nonprofit organization that promote good eating habits by bringing fun and engaging lessons about food to classrooms and other venues. 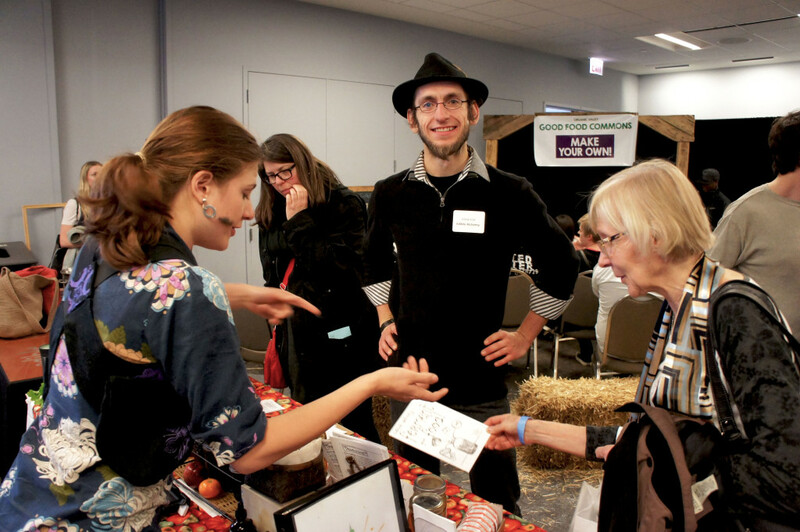 Dietrich McGaffey (center), seen at Organic Valley Good Food Commons, is co-founder of Chicago’s Edible Alchemy Food Co-op and a regular participation in the Good Food Festival. Don Lewis (left) discusses the high-quality grains produced by his Wild Hive Farm in New York’s Hudson Valley. 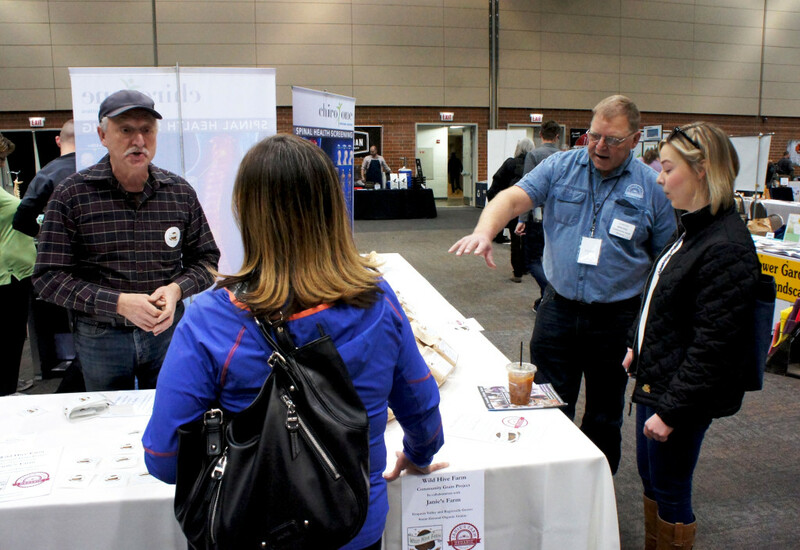 He is now partnering with producers in Illinois, such as organic grower Harold Wilken (right) of Janie’s Farm in Danforth, Illinois, to foster the already expanding interest in better Midwestern grain. 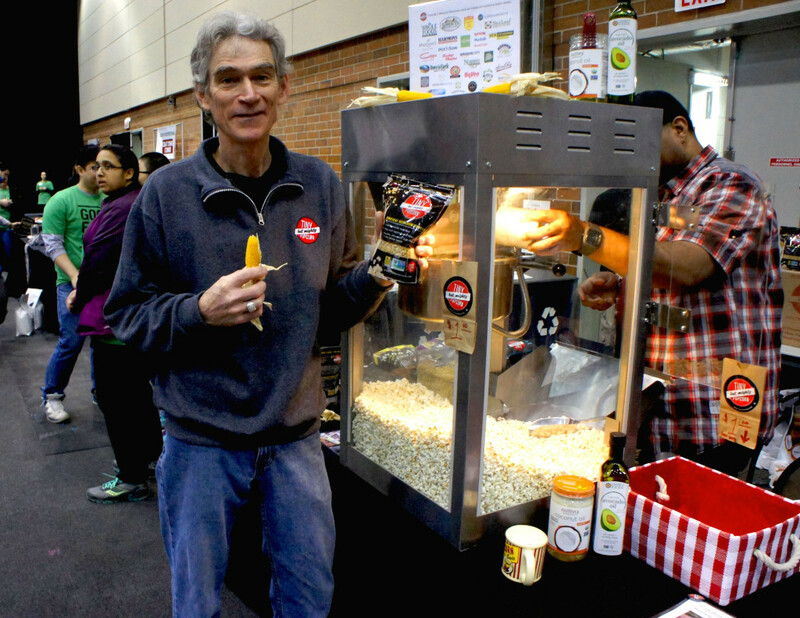 Farmer Gene Mealhow of Shellsburg, Iowa took a small jar of heirloom popcorn and turned it in Tiny But Mighty, a company whose products are on the shelves of Whole Foods Market stores and other locations around the country. Tiny But Mighty has benefited from an association with FamilyFarmed that includes regular appearances at the Good Food Festival. 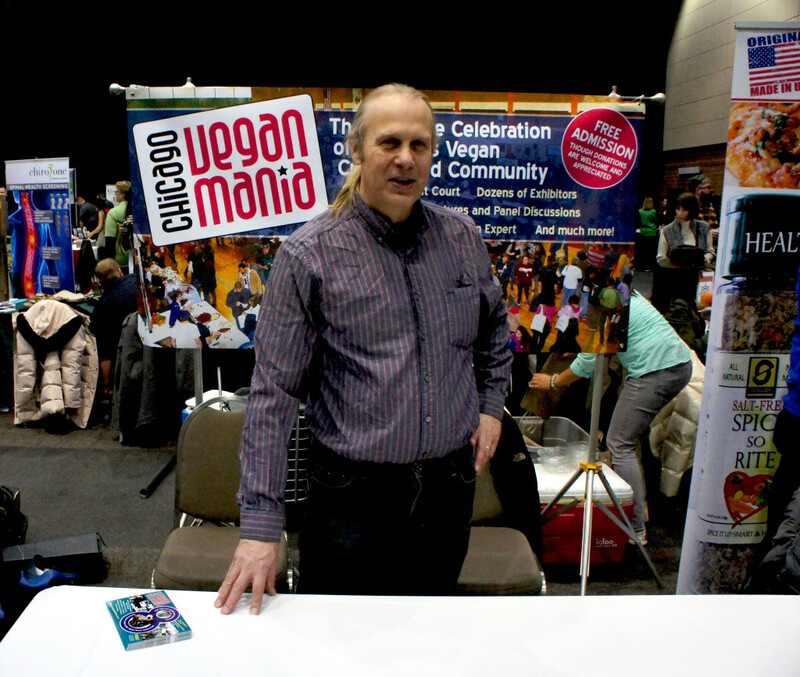 John Beske, who has a long association with the Good Food Festival and with FamilyFarmed, is an advocate of a vegan diet and produces the annual Chicago Vegan Mania event. 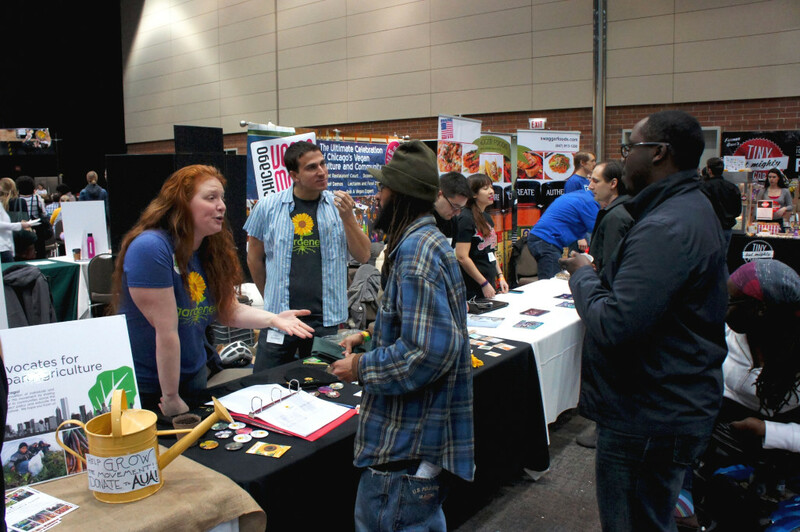 Representatives of Gardeneers, an organization that teaches Chicago schoolchildren how to grow produce, discuss their program with Good Food Festival attendees. 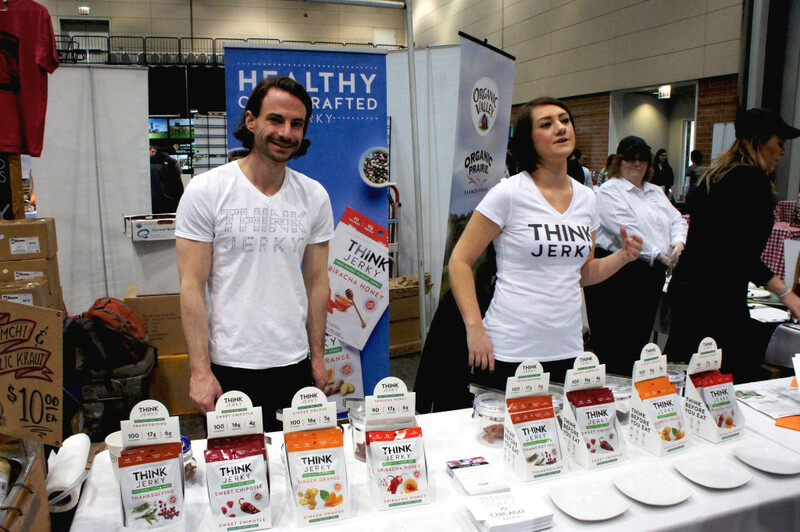 Think Jerky and CEO Ricky Hirsch (left) are redefining beef jerky with sustainable ingredients and recipes by leading chefs. Jake’s Country Meats, a sustainable pork producer in Cassopolis, Michigan that sells at Chicago-area farmers markets and other locations, was an exhibitor-vendor at the Good Food Festival. 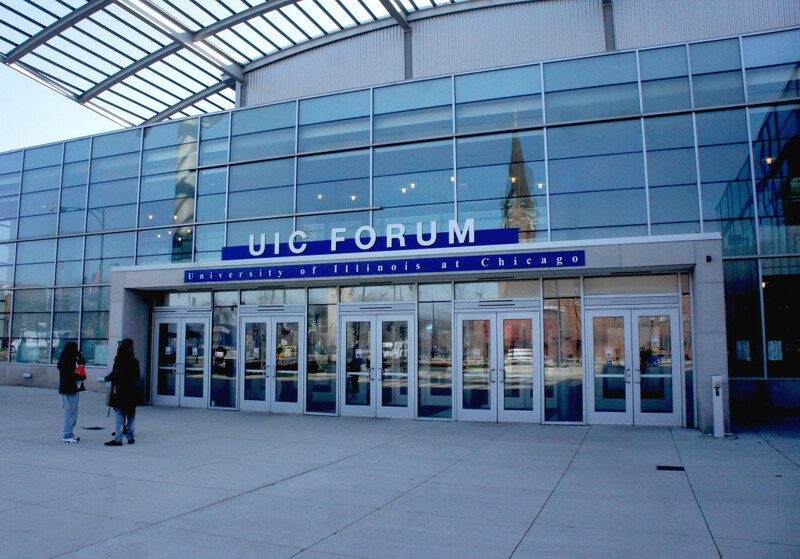 The UIC Forum on the University of Illinois at Chicago campus is FamilyFarmed’s home away from home for the Good Food Festival & Conference for three days each March. The 13th annual event takes place March 16-18, 2017… see you there! This entry was posted in Good Food Festivals, Good Food Photos and tagged Abra Berens, Band of Farmers, Chicago Public Schools Culinary & Hospitality Program, Chicago Vegan Mania, Community Supported Agriculture, CSAs, Edible Alchemy Food Co-op, FamilyFarmed, Gardeneers, Good Food Festival, Good Food Festival & Conference, Jake's Country Meats, Janie's Farm (IL), Local Foods Chicago, Nature's Farm Camp, Organic Valley, Purple Asparagus, Stock Cafe at Local Foods, Think Jerky, Tiny But Mighty popcorn, UIC Forum, Whole Foods Market, Wild Hive Farm (NY). Bookmark the permalink.